These are great! I am esp. loving the Prince Charming mini 241. I have to tell you — you did one of the most thorough reviews I've seen so far. Between the sizes, the options, the interfacing–you really did a great review! As opposed to some that seem to say nothing more than made it and liked it. Nice job! I think you've convinced me to buy this pattern now. Off to read but they look amazing here! I just love the fun fabrics you choose to work with. These purses are wonderful. I read the post earlier today. 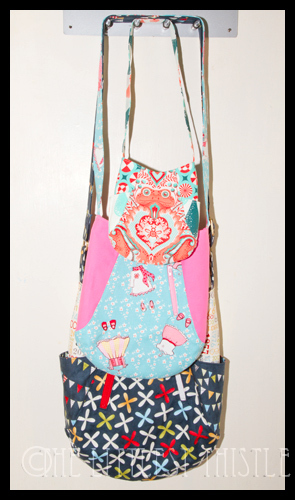 Great review and ideas for one of my fav' bag patterns! These are so darn cute! All three would be so fun to make as sets for my guild friends. I just have to make ALL three…and several times over for special friends and, not to forget, myself. They are so cute! Don't think I could have stopped at 3!